Back in October 2017 I started to participate in Inktober, the annual social media event that encourages artists to produce one piece of art per day using ink. I only made it about two weeks before I abandoned it but that was better than previous years. Since then I've had these pen sketches laying about and I decided recently to add some color to a couple of them. Pen and watercolor on paper, 6" X 7"
This first one is a 1935 Ford flatbed truck left to rot out in a field in the high desert of northern Utah, you know, one of my favorite subjects. 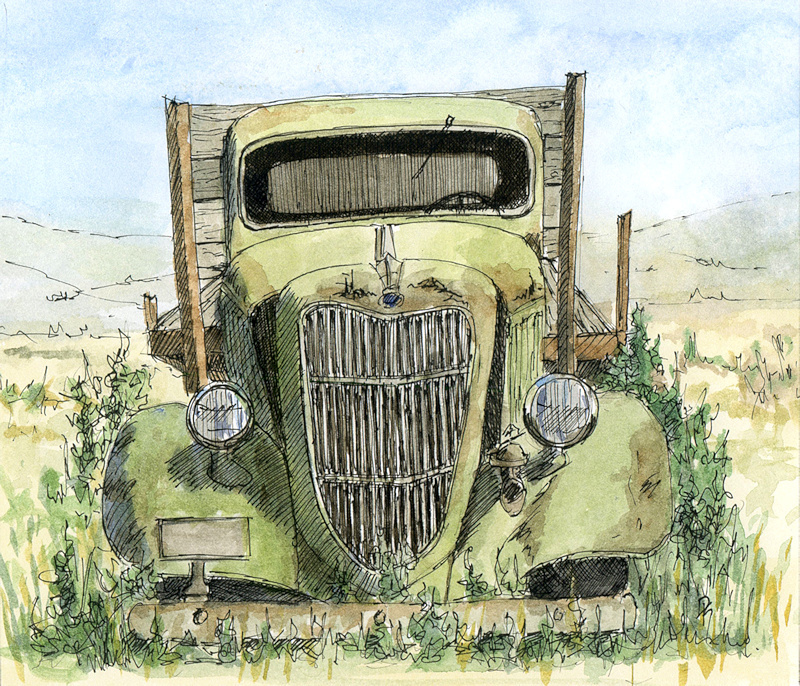 The sketch is based on a photo I took on a ranch in Wallsburg, Utah. 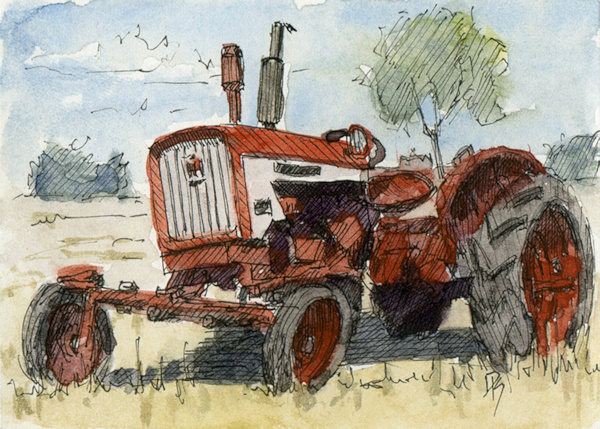 Pen and watercolor on paper, 2 1/2" X 3 1/2"
This second sketch is a late 1960's vintage red Farmall tractor. It's based on a photo I took somewhere along a rural back road in northern Utah but I don't remember exactly where. It was in very good condition for it's age so I assume it's been restored, probably only does parade duty now. This sketch is in a size referred to as an ACEO, (Art Card Editions and Originals) that same size as hobby collector cards so that makes it especially collectible, right?